The LBI London would like to congratulate its alumna Dana Smith, who has just been appointed as Assistant Professor at Keene State College in New Hampshire. Dana wrote her PhD under the supervision of the LBI’s director, Daniel Wildmann. 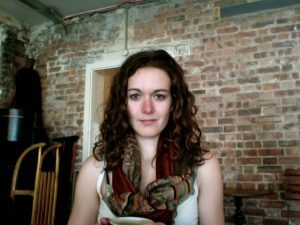 She was awarded the John A.S. Grenville Studentship in Modern Jewish History and Culture in 2012 and has passed her viva in 2015. Her thesis “The Jewish Kulturbund in Bavaria, 1934-­‐1938” provides a fresh perspective on the only state-approved Jewish cultural organisation in Nazi Germany, and analyses the strategies of Jewish cultural self-representation under Nazism, as expressed (with a regional bent) in the Bavarian Kulturbund’s programme. We wish Dana all the best of luck for her new position!